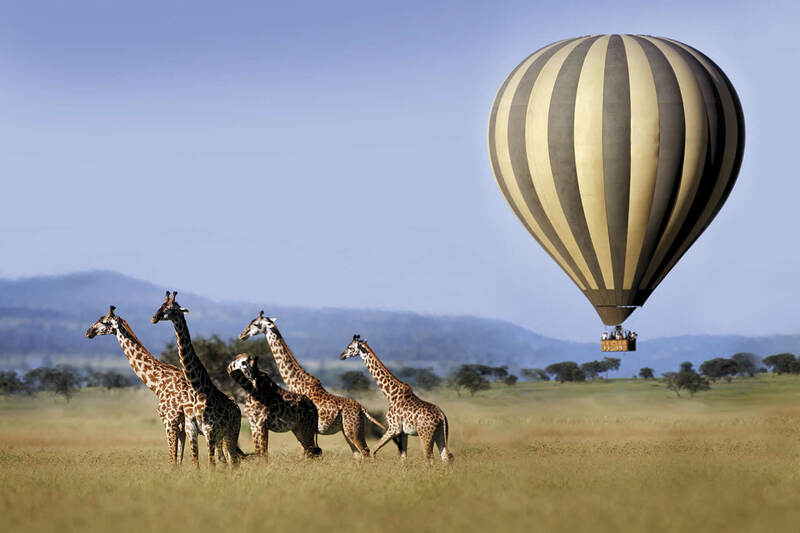 Our 3 Day Tanzania Balloon tour will take you to Serengeti for 2 Night where you will be able to explore Serengeti National Park by aerial view.The most commonly observed Nimals and birds in this park are Elephants, Zebras, Giraffes, Impala, Topi, Lions, Leopards, Cheetahs, water buck, wild dogs, Jackals, Warthogs, Hippos, Nile crocodiles, Gazelle and many more. The park is also gifted with a big number of bird species like Martial Eagles, Secretary Bird, Masai Ostrich, Kori Bastards and other animals and Birds. Day 1: Arusha to Serengeti National Park. After breakfast your driver will pick you up from hotel and transferred to Serengeti for five-six hours arrival at lunch time.After Lunch there will be an afternoon game drive in search for the great game at the park. The most commonly observed are Elephants, Zebras, Giraffes, Impala, Topi, Lions, Leopards, Cheetahs, water buck, wild dogs, Jackals, Warthogs, Hippos, Nile crocodiles, Gazelle and many more. The park is also gifted with a big number of bird species like Martial Eagles, Secretary Bird, Masai Ostrich, Kori Bastards, Vultures, lesser flamingos, yellow-billed stork, woodpeckers, lovebirds mention but a few.Dinner and overnight at Allocated accommodation as requested. Day 2: Morning and afternoon Balloon Ride. After breakfast you will be driven to the starting point of your balloon tour be briefed by the guide then take off with the balloon to have aerial view of the park see animals at eagle’s eye angle. Its only in the balloon you can enjoy close view of these predators when they have cached their hunt and enjoying their meal while graving and struggling to pick the best. Other animals observed are Elephants, Zebras, Giraffes, Impala, Topi, Lions, Leopards, Cheetahs, water buck, wild dogs, Jackals, Warthogs, Hippos, Nile crocodiles, Gazell e.t.c After the morning balloon return back to the lodge for lunch, you will find the driver waiting for you at your landing point drive you the lodge refresh yourselves from such a wonderful experience Afternoon go for further game drives in the afternoon. Dinner and overnight at Allocated accommodation as requested. Day 3: Serengeti to Arusha. After breakfast, you will have an en-route game drive then head back to Arusha city to your requested accommodation or Airport drop off.